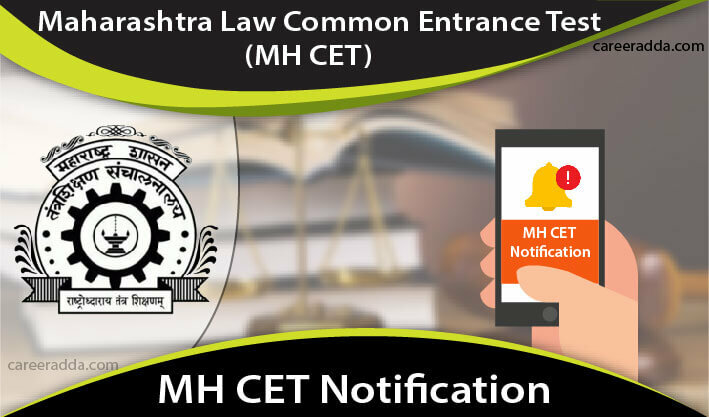 MH CET is called as the Maharashtra Law Common Entrance Test. Even, people call this test as MAH CET. This law entrance test is conducted as a state-level entrance examination for admission of students to the 3-year LL.B course and also to 5-year Integrated-LL.B Course. Before the year 2016, law colleges in the state of Maharashtra were enrolling students for LL. B course based on the merit they secure in their degree course. 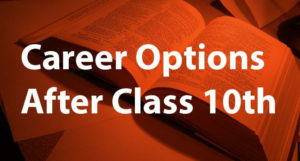 However, at the beginning of the year 2016, the Government of Maharashtra announced that the law course will be considered a professional course. So, an entrance exam called as MAH CET was announced to judge the ability of candidates to take up legal education. As per the records, when the first MH CET for law course was conducted, nearly 37,000 students appeared for the test. Out of these many candidates, nearly 22698 candidates applied for the 3-year LL. B course. Nearly 98 law colleges in the state of Maharashtra admit students for the 3-year LL.B course based on the merit secured by applicants in the state-level entrance test. This number of colleges includes both government and private colleges. Even, this list has government-aided and minority unaided colleges as well. The dates differ for the 5-year and for the 3-year course. Here are the tables showing the tentative schedule for both the courses. Candidates can expect the official notification to be published by the Directorate of Higher Education of the state of Maharashtra in the middle of the month of January or February 2019 for the 5-year LLB Course. For the 3-year course, interested candidates can expect the official notification to be out in the month of March 2019. The eligibility requirement is different for the three-year and five-year integrated LL.B course. So, here are the details to help the aspiring candidates. Candidates must be Indian citizens to apply to the MH CET Law 2019. Further, they should have completed their senior secondary or intermediate or class XII examination from a recognized educational institution in 10+2 pattern. They should have secured at least 45% of marks in aggregate in the qualifying examination. In the case of SC/ST candidates from the state of Maharashtra, a relaxation of 5% is applicable on the required percentage of marks. Applicants must be below 20 years of age to apply to the MH CET for 5-year LLB course. When this age limit is applicable to general category, a relaxation of two years is applicable to the candidates from the reserved category on the date of admission. The applicants must be citizens of India. Further, they should have a graduation from a recognized college or university. The institute from which they got their degree should be UGC recognized. Also, applicants must have completed their degree in 10+2+3 format. To apply to the MH CET for 3-year LLB Course, applicants must have secured at least 45% of aggregate marks in the qualifying examination. Also, candidates belonging to the SC/ST category from the state of Maharashtra will get a relaxation of 5% on the required percentage of marks. It is important that the applicants must be less than 30 years of age to apply to the three-year LL. B course, if they seek admission through MH CET. For reserved category candidates, the upper age limit is 35 years at the time of admission. Candidates will find the application form in the official website of the Directorate of Higher Education of the Maharashtra State. Candidates applying for the three-year course entrance test will find the application form in the month of March 2019. For five-year course, they can expect the application form in the month of January or February 2019. The application process is similar for both. The first step here is that candidates will have to register at the official website of the Directorate of Higher Education, Maharashtra. To register, they will have to click on the tab that reads “New Registration”. In this step, candidates will have to provide their basic details like name, mobile number and email ID. They will also have to provide other contact details. On the submission of these details, they will get a provisional registration number. Candidates should take a note of this number and they should preserve it for the future reference. Further, they will also get their application number and password to the mobile number and email they provide for registration. The second step in the process of applying is to login to the DHE’s website using the login credentials like application number and password. In this step, candidates will have to provide details like their Surname, correspondence address and educational details. Once, they fill up these details, they will have to click on the tab that shows, “Validate your details” and after they check the correctness of all the entered details, they need to click on the save button and the next tab. In this step, candidates will have to upload their scanned copies of photograph and signature. They will have to do the signature using a black pen and they should scan the signature after signing on a white paper. The signature and photograph should be in JPG/JPEG format. The size of the photograph should be between 20 and 50 KB and signature should be between 10 and 20 KB. The dimensions for the photograph should be 200×230 pixels and for signature, it should be 140×60 pixels. Once the application fee is paid, candidates will get an e-receipt that will have details about the payment. Candidates are recommended to take a print out of the e-receipt. They will have to provide the details in the e-receipt on the MH CET application form. Once these details are entered, they will have to click on the ‘Final Submit’ button to complete the application process. There is no negative marking for both three-year and five-year courses. The test-takers will get one-mark for each correct answer. The test is conducted as a pen and paper-based test. Based on the MH CET Score, candidates securing the required percentage of marks will be called for counselling. 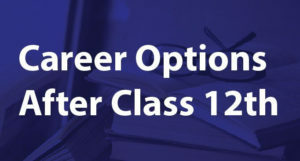 The counselling process for both courses will start from the month of June and will go until the month of October 2019. Here is the process involved in the selection of suitable candidates to take up the Law courses in the state of Maharashtra. The counselling will be conducted only as a web-based counselling. The candidates will have to go through the following stages before they get a final allotment of a seat in law colleges in the state of Maharashtra. Online Registration: After the results are declared, candidates securing more than the least required percentage of marks in MH CET test will have to register themselves at the official website of MHT CET 2019. They will find a link to the counselling procedure. On the resulting page, they will have to provide details like roll number, application number, date of birth and password. Then, they will have to pay the required counselling fee. The next step to follow is document verification, where candidates will have to bring their original certificates of qualifying degree or higher secondary for verification. Candidates will have to get the document verification done at the Application for Receipt Center. They can find the list of these centers on the website of MHT CET 2019. The next step is online form filling, followed by seat allocation. Finally, candidates will have to report to the joining institution. Once the admission process is over, the college will issue a confirmation letter to each student. Legal Aptitude – This section is to judge the ability of candidates in solving problems, research aptitude, and their interest towards the study of law. Logical Reasoning – To test the ability to identify patterns, rectifying logical errors in statements, many other questions to test the logical reasoning ability. General Knowledge including Current Affairs – Questions will be from general science, economics, civics, geography, history and current affairs. Basic mathematics – Profit & loss, speed & distance, Venn diagrams, permutation & combination, average, algebra, time and work, etc. Legal aptitude – Questions will be to judge the interest in the legal field. Also, their research aptitude and problem-solving ability will be tested through this section. General Knowledge & Current Affairs: Same as for five-year course given above. Logical & Analytical Reasoning – This section will have questions to evaluate the logical reasoning skills of candidates. Also, their analytical thinking ability will be tested. Take a print out of the downloaded document and bring it to the examination hall. Download and save the scorecard for admissions.